Lemon GreenTea: Make your Tomb Raider movie experience a real adventure by watching it in IMAX! Make your Tomb Raider movie experience a real adventure by watching it in IMAX! The Tomb Raider is back with an even more exhilarating adventure, and IMAX gives you the elite view of this larger-than-life action movie! 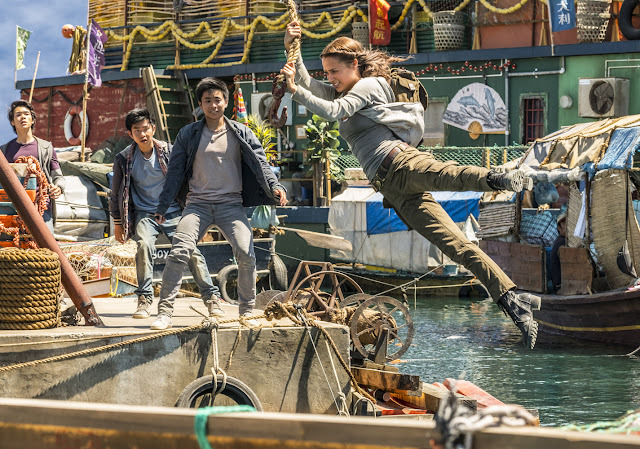 Taking place before the perilous adventures of the known Lara Croft, the film is set in her pre-tomb raider era where Lara is a young woman whose father mysteriously vanishes. Running away from the pain of her father’s disappearance, she becomes a bike messenger in the streets of London. Making the action more real for fans, the film is digitally re-mastered in IMAX, giving the viewers a gigantic view of the movie in the country’s biggest theatres. With the brightest images, crispest sound, and the most lifelike 3D experience, IMAX takes you on a realistic voyage you definitely wouldn’t want to miss. Make your Tomb Raider movie experience a real adventure by watching it in IMAX! Book your tickets now through the website, www.smcinema.com or skip the line and download the SM Cinema app now through the App Store and Google Play. Stay tuned to SM Cinema on Facebook and @SM_Cinema on Instagram for more details.